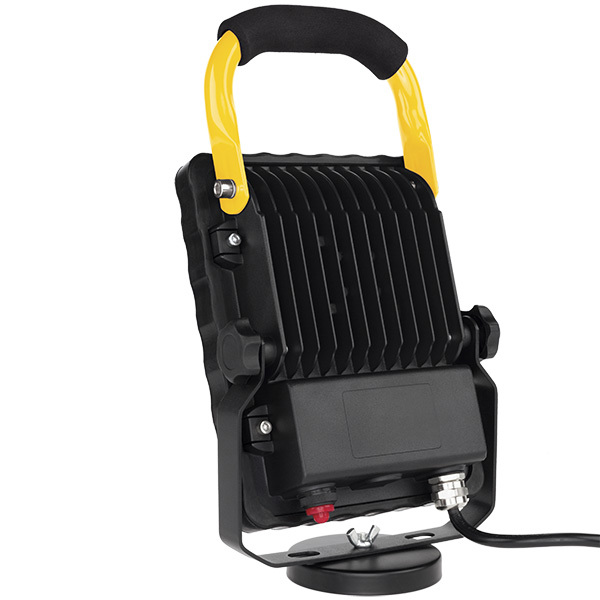 The SL-868 LED Work Light w/Magnetic Base cranks out an impressive 950 lumens of light from a single long life 10W LED and it comes attached to a Heavy Duty Retractable Metal Reel with 40' of 18/3 SJT cord. 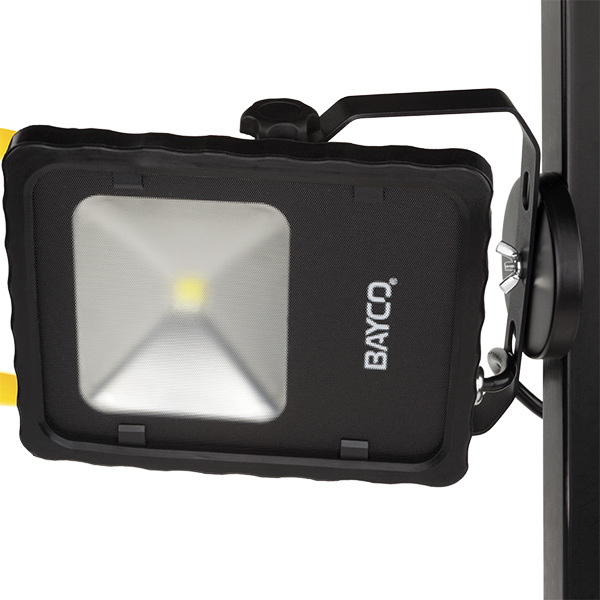 The multi-fin heat sink design keeps the fixture cool to the touch. 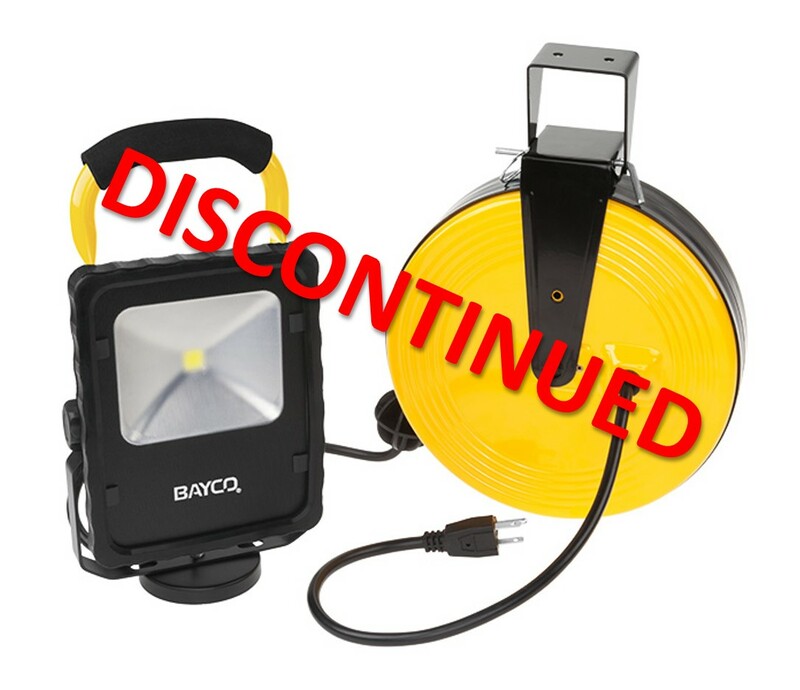 The work light fixture has a single sealed push button switch and can be tilted and swiveled independently allowing the user to position the fixture exactly where light is needed. 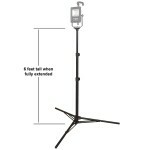 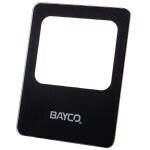 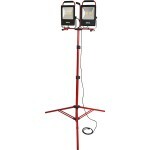 The Heavy-Duty Magnetic Base allows the light to be attached to most metal surfaces for hands-free operation. 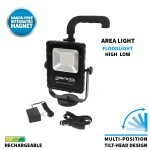 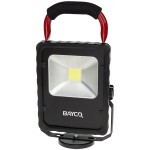 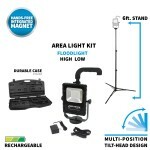 The work light has a tempered glass lens, and is powder-coated for long wear durability. 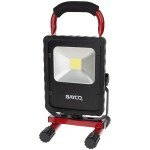 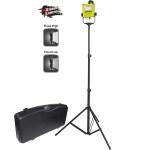 The comfort-grip handle makes transporting and positioning this work light a snap.